Cell therapies made a debut in the United States and Europe with the commercial launch of autologous chimeric antigen receptor (CAR) T-cell therapies such as Kymriah™ and Yescarta™. 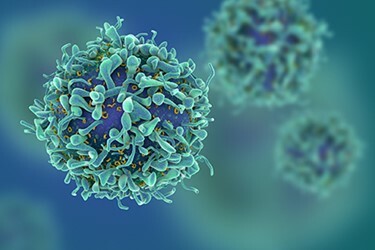 With more than 250 clinical trials worldwide studying CAR T-cell therapies ongoing, additional cell therapies are clearly on their way and potential indications are broadening to include solid tumors, like melanoma, pancreatic cancer, and glioblastoma. Headway is also being made for cell therapies derived from stem cells to maybe one day treat diseases like autoimmune diseases, Alzheimer’s, and Parkinson’s. The success of cell therapies, however, hinges on not only proving that a product elicits the desired biological response but also overcoming the challenges of manufacturing and administering a complex product to any patient. To meet these supply chain challenges and deliver on the promise of cell therapies, companies need outstanding technologies and innovative strategies. “Given the rapid timeline of clinical development, considerations for robust, scalable, industrialized manufacturing could not be incorporated during the clinical development of the Kymriah and Yescarta,” says Dr. Madhusudan Peshwa, Chief Technology Officer, Cell and gene therapy business, at GE Healthcare Life Sciences. The commercial product came first and as a result, a host of manufacturing issues exists, including lack of automation, outdated analytics, and an immature supply chain. “It is only now, post-approval, that some of the industrialization and supply chain considerations are being incorporated to facilitate commercial manufacture and delivery,” Dr. Peshwa continues.